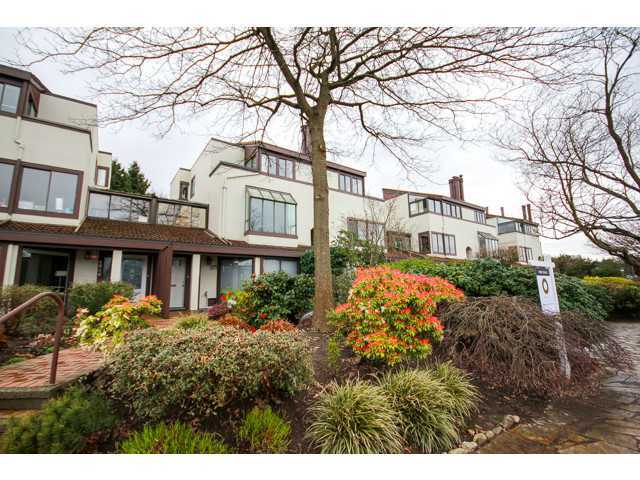 Just SOLD over the asking price this beautiful home on the False Creek seawall! Finally a home you've been waiting for! Beautiful, bright & spacious 2 level townhouse will instantly charm you w/ amazing views of False Creek, city & the mountains! Almost 1600 sqf of living space offers ample room for a growing familyor downsizing empty nesters. Great layout w/ 3 good size bdrms up, & kitchen, dining & living area on the mn lvl. Living rm w/ a wood burning fireplace extends to a glass enclosed conservatory/solarium, perfect for a formal dining rm, library or a large office. Your front door opens to a scenic seawall & your kitchen to a natural light drenched patio & a private garden. Secured parking, storage/shed & in-suite laundry. Prepaid City of Vancouver lease to 2036.